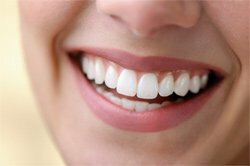 Cosmetic dentistry is dental work that improves the appearance of your teeth or mouth. All of us want to have the confidence that a full, white smile brings; cosmetic dental work at Salt Lake Dental Care can give it to you! Just take a look at our smile gallery to see some examples of the remarkable work we’ve done for people just like you in the Salt Lake City area! We understand that your smile can affect the way you feel about yourself. At Salt Lake Dental Care in Murray, UT, we are committed to helping you get that healthy, glowing smile you’ve always wanted, with the help of aesthetic dentistry. If you have chipped, cracked, crooked, or discolored teeth, come see what cosmetic dentistry can do for you! The answer may be easier than you think. Murray UT cosmetic dentist Dr. Blackwood and his caring staff are here to help you find a solution that is comfortable for you and your unique situation. Dr. Blackwood is an expert in cosmetic dentistry, and he is determined to making sure you are completely satisfied with your smile. He and his knowledgeable staff will ensure that your experience at the cosmetic dentist is stress-free every time you come. His artistry, attention to detail, commitment to doing things right, and years of cosmetic dentistry experience will give you the confidence that you are in good hands and getting the very best care there is. At Salt Lake Dental Care, we offer a variety of aesthetic dentistry services. Take a look at the links below for brief descriptions about a few of the cosmetic dental services that we offer here. Or, feel free to call our Murray, UT office with questions about specific procedures or to make an appointment and let cosmetic dentist Dr. Blackwood help you decide which solutions may be the best for your situation if you are in the Salt Lake City area, including Sandy, Utah!